Mausummery lawn recently revealed its latest collection for the year 2012. Mausummery lawn embroidered classic collection 2012 consists of embroidered fabric. Fabric for only shirt, for shirt and trouser and for full 3 piece suits is included in the new Mausummery lawn embroidered classic collection 2012. The prices for all the items in this collection are quite reasonable. 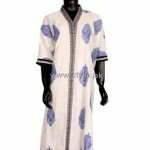 The collection provides fabric suitable for creating casual wear and semi-formal wear outfits. You can also wear the outfits made from the prints in Mausummery lawn embroidered classic collection 2012 on the festive occasion of eid. Mausummery Lawn is one of the leading lawn brands of Pakistan. It has been operating in this field since 1997. It is known for its unique designs. It is a family owned company committed to providing the best fabric for its customers. The company has grown a lot over the years. Now, its fabrics are available nationwide and other countries as well. It also has an online store through which, people from all over the world can shop for its products. It provides new designs for all the seasons. Women all over Pakistan and from other nations love the outfits of Mausummery Lawn and look forward to the company’s next collection. The pictures of items in Mausummery Lawn embroidered classic collection 2012 are given below. Have a look at the outfits. The collection is available in stores now. The price range for the items in Mausummery lawn embroidered classic collection 2012 is Rs 1495 to Rs 2450. So, if you want any of the outfits, you better go to the stores now. The outlets of Mausummery lawn can be found in Karachi and Lahore. For more information about Mausummery lawn, log onto its website or go to its Facebook fan page. The links for both are given below.